Home / Blog / Difference Between Pinot Gris and Pinot Grigio? This is probably among the most-asked questions on our tours, right up there with “where’s the bathroom?” and “what time is lunch?”. 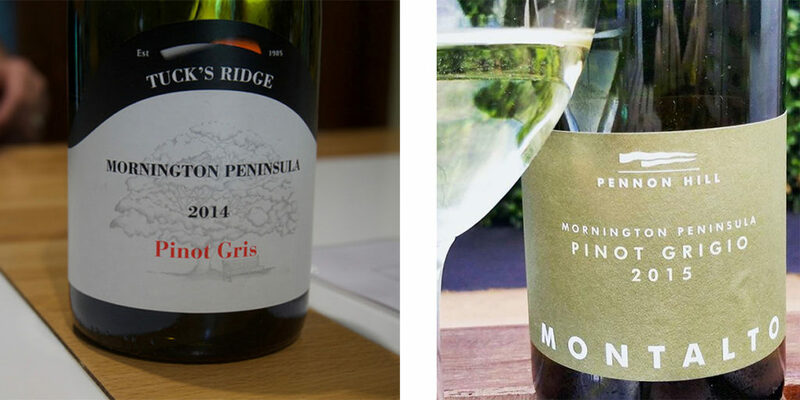 The Mornington Peninsula is the home of Pinot Gris/Grigio in Australia. It was first planted here commercially in the late eighties and we regularly visit its pioneer and champion Quealy Winemakers. It’s one of the most popular white varieties, but there is still some confusion over the difference between these two wines. As with most simple questions there is a simple response that gets more complex the deeper you go. Nevertheless we have spoken to the experts and we’ve got a pretty thorough explanation below. 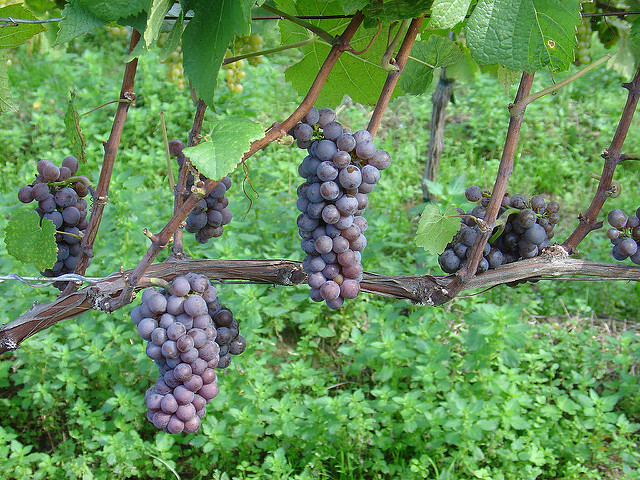 In the vineyard, there is no difference between Pinot Gris and Pinot Grigio as they are the same grape. Coming from the colourful Pinot family (think Pinot Noir and Pinot Blanc), Gris and Grigio are the French and Italian words for grey, respectively. This is due to the pinkish-grey appearance of the skin when the grape is ripening. In France, particularly Alsace, bottles of wine made from the grape will sport the Pinot Gris label, and throughout Italy they will be labelled as Pinot Grigio. In Australia winemakers have the freedom to label the wine as Gris or Grigio as they wish. 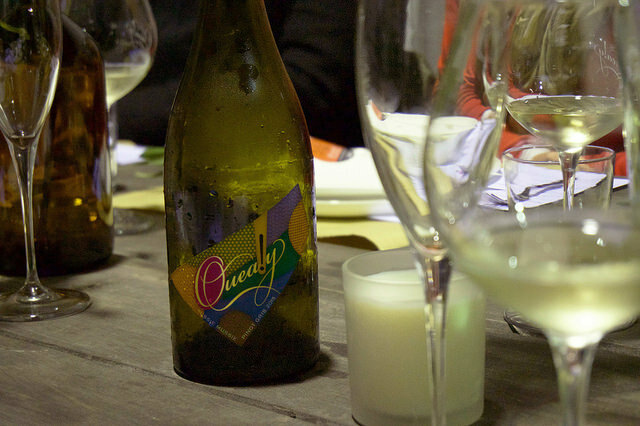 Most winemakers agree that there is a useful distinction in describing the style of wine made. A wine labelled Pinot Grigio will usually be early picked, and light bodied with higher natural acidity and a focus on fruit flavours. The Gris wines will be riper and fuller bodied, often with some oak aging and spicier flavours. This is a good rule of thumb but may differ from winery to winery. Another factor for wineries to consider is how they will sell their wine. In Australia there is a difference in perception between wines labelled as Gris or Grigio. 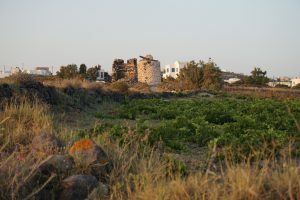 If a winemaker had a fresh, drink-now style of wine they will probably go with Pinot Grigio, whereas a more expensive wine would likely utilise the Gris label. Some winemakers might find they have better sales when switching up the label, even if they don’t make any change to the wine itself. As the Australian wine industry matures and certain grapes become more prominent, we might see some new rules coming in which make it easier for the consumer to know the differences. Until then, our best advice is to keep tasting and try as many different versions as you can. 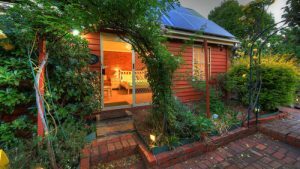 If you would like to book a tour to the Mornington Peninsula, home of Pinot Grigio in Australia, give us a call.